I love Valentine’s Day. I’ve written about it on the blog before. You can read my reasons here. 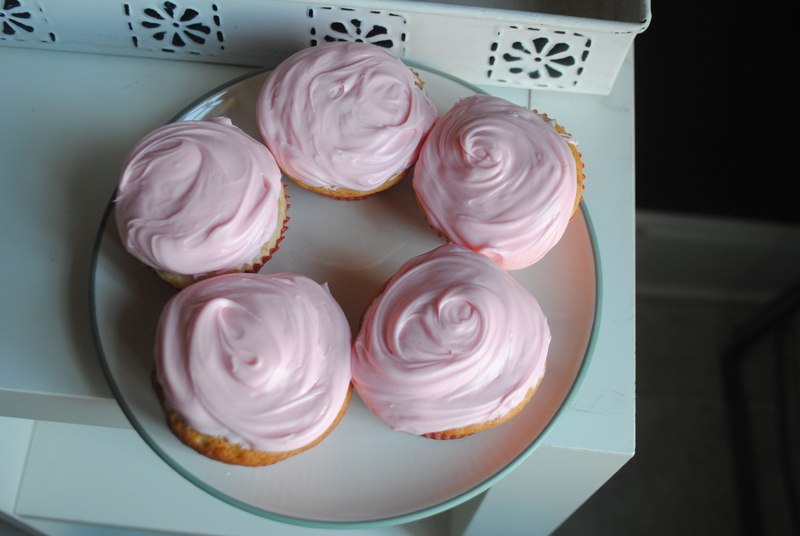 Fluffy pink cupcakes are another reason to enjoy this holiday, and this year, we added a new thing to love in a little V-day celebration: reacquainting with an old friend. Toni and I met in college. We even shared a suite at one point, and I always found her to be pleasant and fun to be around. Life moved on, as is time’s habit, and I stayed connected to very few college friends. (Of course, I married my best college friend, so there’s that.) Anyway, through the wonders of social media, Toni and I reconnected about a year ago. We found ourselves in similar positions. We both had acquired a lot of graduate education, yet we also developed hearts for being home with our children. We care about nutrition and health, and we are both interested in alternative education choices for our families. We had plenty of common ground to use as a firm launching pad for a renewed friendship. On Friday, we were able to get together for a little Valentine party at my house. Spending time together, becoming reacquainted, watching our children play together, having lunch, and exchanging Valentines brought such joy to our week. I keep thinking of that old Girl Scout song: Make new friends, but keep the old. One is Silver but the others Gold. Thanks, Toni, for a fun afternoon! you make the most delicious baked goods! I still think fondly of those cherry tarts you brought when O was born!! Sounds like a wonderful valentine visit with Toni!! I want one of those pretty cupcakes!